Ugh, come on Justin Bieber, you were doing so well! Over the weekend, news broke that the "Sorry" singer made a scene while promoting his album Purpose near Cannes, France. A video showed that while at a restaurant, Bieber flipped over a chair, then walked away with a friend. As you might expect, many people, after seeing the clip, were pretty quick to jump to the conclusion that the singer had returned to his past bad behavior. 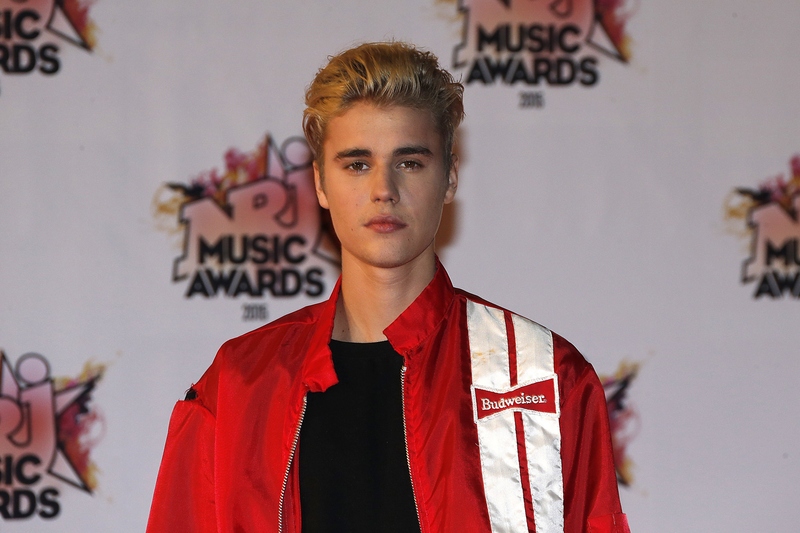 Not so fast, though — on Saturday, Bieber took to Twitter to tell the truth about what really happened, at least according to him. It's not that cut and dry, though. Here's what we know for sure: it was a peaceful, sunny day in France, where Bieber was busy promoting his upcoming album. He was lunching with a friend at a restaurant in the afternoon, and fans were standing outside the gate of the outdoor seating area, taking pictures of Bieber while he was in conversation with a friend. Suddenly — and this was caught on tape — he and the friend were standing up, and seen storming out of the restaurant after Bieber flipped his chair in what appears to have been a fury. OK, JB. While I'm glad he took the time to explain what happened at the restaurant (making sure to add a shameless plug for his album, of course), but if he wanted to prevent all of the drama that comes with flipping out in public, it's probably better to just, you know, not flip out in public. The explanations went as far as Bieber even writing to a reporter, saying, "No one is flipping out dude. My buddy had just told me some bad personal news. Don't lie please. #IllShowYou." Fair enough; we've all had our own little outbursts from time to time. After clearing things up with the media, Bieber decided to make light of the situation by retweeting some of his fans' best reactions to the incident. I don't blame him — they were pretty hilarious. True. If you can't laugh at yourself, then who can? Is it really love unless it's reciprocated? Tell me, how deep is your love? Ain't nobody messin' with Justin Bieber's clique of Beliebers. Was this even a fair fight? Clearly, if you mess with Bieber, you mess with Ariana Grande as well. 7.) Is That A Threat? I wonder if she actually ended up going through with this. If one goes in, they all go in. 9.) Best Album Cover Yet, JB! I'm digging the artistic vision on this one, Bieber. Rest assured, your time is coming! When you make a mistake, there are always a few options you can use to make it up to the people you hurt. You can apologize, or you can start a worldwide trend on Twitter. JB has clearly learned how to utilize both.